Brownton at Winsted, 4 p.m.
(at Green Isle), 4 p.m.
Waconia at Cologne, 5 p.m. Final standings will be used for Region tournament seeding. *Plato has clinched the CRVL South title. With that, they get a bye into Region 7C tournament, and will be the No. 1 overall seed. *Watertown has clinched the CRVL North title. With that, they get a bye into the Region 7C tournament, and will be the No. 2 overall seed. 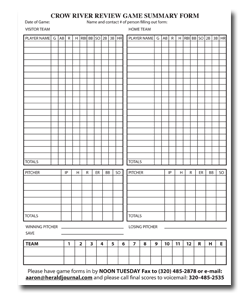 *Young America earns a bye into the Region 7C tournament by virtue of the third-best league record, and will be the No. 3 overall seed in the Region 7C tournament. 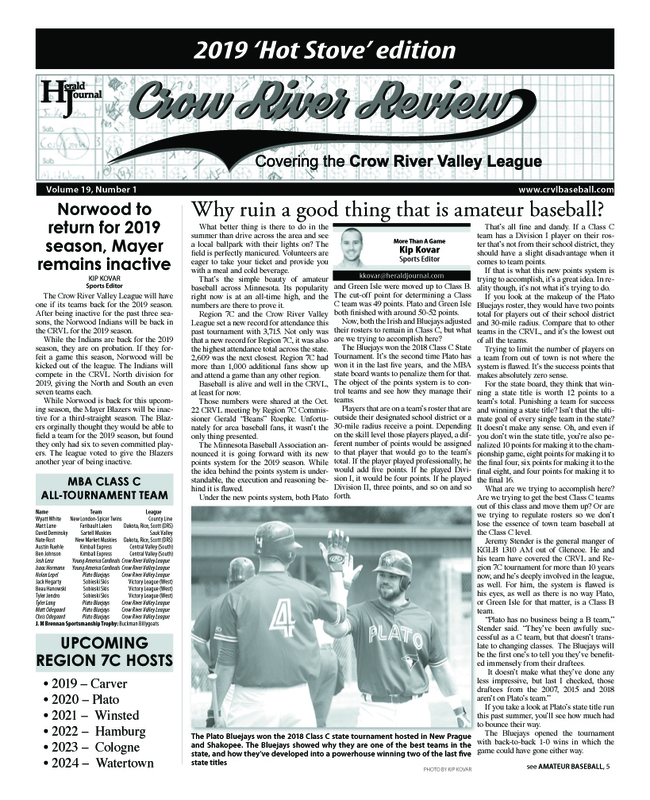 Herald Journal Publishing/Greater Minnesota Communications is pleased to provide this website, the printed Crow River Review, and official statistics for the Crow River Valley League.